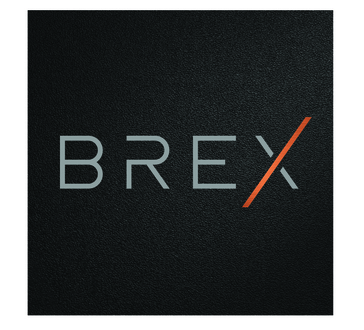 Brex is the first corporate card tailored for startups. Through the online self sign-up, startups can get instant approval on cards that offer 10-20x higher limits than normal banks and don't require any kind of personal guarantee. "Quick and easy was to pay for business expenses "
I like that the transaction review section of the Brex site is very clear and lays out my transactions so they make sense. Its also really easy to add a receipt and keep track of which ones have it and which ones need it, something I thought I was going to find annoying. I also had a brief interaction with customer service that was pleasant. It was brief because they quickly helped me get to the bottom of my problem and solve it. I don't have anything that I dislike about the card. The only thing that was a little weird at first was it was taking a while for my transactions to show up on the summary at first, which doesn't seem to be an issue for me anymore. I no longer have to ask to borrow a company card from management whenever I need to make a purchase for the company. It also makes it easy for me to use my commuter benefit allowance. "Credit card & administration for the present day"
Being able to issue, suspend, increase, & decrease credit cards instantaneously + the Brex dashboard that allows your to categorize using your QBO accounts without having to leave the Brex website. Customer service is top-notch too, extremely responsive & diligent in their support. Nothing as of yet - which is what you want from a credit card. The less you think about it, the more it's making your life easier. As a seed-stage startup, every hour of every day is precious and anything that can be done more efficiently isn't taken for granted. Brex saves me somewhere between 1 - 3 hours / week from what I would otherwise have to do using other credit card providers. "The best corporate credit card option for startups"
Whereas the major traditional card issuers require millions of dollars in revenue before they will issue a true corporate card (one that doesn't require personal guarantees by the company owners), Brex applies common sense and extends a credit limit based on your bank account balance. Additionally, their no fees promotion was another great reason to deploy Brex. Brex has yet to launch a full rewards program (though this is coming apparently). Not having a traditional rewards program has been the only downside. "Great tool for expense mgmt., receipt tracking and without a personal guarantee"
With Brex we're able to spend much less time on expense mgmt. and more time focusing on our core business. Features like seamless receipt capture and spend by employee make tracking purchases very easy. Also it's easy to onboard new employees to our platform. Finally it's great not to have to put up a personal guarantee as a startup. The recent upgrade to the rewards program was needed and really attractive. I'd love to see more analytics like category spend by employee and by vendor, which I expect to come as the company scales. Expense management - no time spent collecting receipts and monitoring employee spending levels. Easy payment solution for employees in the field. It's very easy to use and the setup support is great. Also the different digital and physical cards is a nice feature for online shopping/SaaS services. We chose Brex over a number of more established corporate card options. Ultimately, their promo of no fees for Beta users was a really attractive prospect for us, and we've been very pleased with their user interface so far. I love being able to just photograph my receipts and have them automatically match with my expenses, and I love not having to worry about making payments. Brex makes corporate banking easy! Sometimes it can be a bit tough to get in touch with support (they're a small team, so it's understandable), and the site can be buggy when logging in. I also wish that we could earn airline miles or other rewards. I use my Brex card for all office expenses, and I no longer have to worry about putting things on my personal card and waiting for reimbursement. It makes my job so much easier. "Simple, easy-to-use business card "
The customer support is very quick. Whenever I need help from other credit card companies, it takes a ~30 minute phone call. With Brex, it takes 1-2 texts. I rarely, rarely carry a wallet, and Brex isn't on Apple Pay yet. If you have a start-up, this is the company card for you. I don't know why anyone would choose a "traditional" credit card over Brex. Most credit card companies denied us because we're a small start-up, and Brex immediately said "yes." It has saved us so much time with the application process and customer support. "Easy easy easy! SO easy, so fun, and so much coffee! " I love the fact that I don't need to track my expenses on a spreadsheet anywhere! I love that everyone has a card, and no one feels left or feels the need to report back for ever purchase, nor ask permissions for small things. I don't love the constant texts, I'd rather have a summary at the end of the week. That might help me have a more holistic view of my spending habits. I have no idea right now, unless I go online and check there. Solving the need for multiple people who have different eating and drinking schedules have access to what they need to feel comfortable throughout the day. Coffee runs, and lunch meetings! We also solve the problem of paying for software, interviews and other office needs independently. Things happen faster. "Very easy receipt attachment and credit limit increases"
I really like the text receipt feature. Before Brex I was terrible about attaching receipts to my expenses because I'm too lazy. This increases my compliance by a huge percentage. Use it. Your compliance for expense reports will go way up, and it will save you a lot of tedious painful time on an expense portal. I often have purchases of several thousand dollars, so my monthly spending could increase 5K any given month. My manager can increase my spending limit easily in seconds online. What I like best about Brex is the ease of use. The user interface is clear and concise. The chat feature is great since you can get your questions answered instantly & intelligently. The person on the other side is knowledgeable (not passing the buck). I had to book about 10 hotel rooms for a bunch fo speakers in Riyadh, Saudi Arabia and had to use my Brex card to hold all 10 rooms. As I booked them through the hotel website, I ran into some reservations not being completed and when I called Brex, immediately an associate assisted me and assured me that my reservations were fully confirmed. Now that's GRAND SERVICE. Brex is super easy to use. The discounts and other features such as travel bookings are a great bonus. By sending a text message as soon as the physical card is swiped prevents me from losing the receipts as well as any fraud that could occur in case the credit card number is stolen. The only thing I do not like about the Brex is that my virtual and physical card numbers differ so it is a bit confusing at times which card to use, etc. Not a big inconvenience but would prefer to have one card number. It lets my boss control company spending as well as monitor the expenses. The virtual interface is environmentally friendly. "A credit card only for professional funded startups"
Nothing, as all the conditions become known only after you jump through their hoops. Applied for Brex after SaaStr on the pretence that it was a card that allows you to access credit funds to a portion of your bank balance. Only to find that there’s a whole string of other requirements. Sole Proprietor, not eligible. < $100k in the bank, not eligible. Even if you meet the funds required you must have professional investors! Wasted time by not being upfront with their underwriting requirements. We’re a Australian headquartered company, which meets all govt requirements, but not the sole proprietor or professional investors. We have a $2m ARR with 20 staff, bootstrapped and growing. We are not originally from the US, so getting a credit card for us was not that easy. Also all credit card services that we have seen so far do not offer any nice interface to just invite your employees, have live feedback of employee's spend and give us the ability to control that spend instantly. Nothing to dislike for me to be honest. "Only card that doesn't make you personally guarantee it without a big hassle"
I have shopped for several credit cards and all but one other required me to personally guarantee the card. The card that didn't require a personal guarantee was a secured card. We raised $2M but I either still have to deposit money or give a personal guarantee. Not with Brex. They periodically check our bank account for underwriting. I don't care for the rewards program. They are high overhead and not applicable to my business. Easy to charge and collect receipts. The simplicity of tracking my purchases so my company understands where their money is going on a monthly basis. The photo receipt feature is a nice touch too for personally tracking my spend! So far, there has been nothing I don't like! We are a small start-up and it is nice to have my own personal card so I do not have to bother my co-founders for their card anymore. "As an offie administrator - Brex helps me tremendously!" With constant purchasing for the team and office, Brex sends me reminders on uploading receipts and makes it easy to keep them organized on my profile. Nothing really! I can't say there's anything I dislike about Brex. Definitely go for Brex. The customer support is better than any other credit card I've used. Keep my boss' personal transactions aside I can use my Brex to differentiate business vs. personal. "Easy to use corporate card"
Foreign transactions do not included foreign currency amounts. Cannot create additional, single use card numbers when you may not want to provide your standard card number. Reports aree limited. I would like to see better reporting and the ability to change statement billing dates. Easy to use and set up. Provides quick and easy corporate card solution secured by only your bank balance. Brex is amazing! We use it at my ecommerce company and the UI, customer service and rewards program are all TOP NOTCH! As a fledgling ecommerce business, we need a card that understands our needs and the way our cash / working capital works, and Brex gets it -- offering us GREAT limits and obviously the new reward program is amazing! Nothing! We love Brex and cannot wait for more features! One thing we'd like to see is our monthly limit...given sales fluctuate, will be helpful to see. Having access to a credit card that understands the way working capital works for ecommerce companies! Ease of use. Good, respectful and fast customer service. I have not run into anything I haven't liked yet. Cut out the time I used to have to create expense reports. And keeping track is SO easy, THEY will text you when you make a purchase with the physical card for a picture of the receipt and will track it for you. When someone used the online card number, I got a text immediately and they issued me a new number (did not need to wait for a new physical card). "Solves the Credit Card Pain Point for Startups"
Unlike most business credits cards that give startups a un-workable credit line. Brex is the only company to take in consideration how startups are funded and can provide a credit limit that makes lives easier. The QuickBooks to Brex platform feature has been buggy. I like that I get a text requesting a picture of the receipt instantly after I use the card, and then I just reply with a quick snap of my receipt and the purchase is verified and categorized automatically. Super efficient and easy! As far as I am aware, there is no rewards or perks for using the card. Brex allows us to build our credit history as a company, and it makes tracking purchases simple. Brex is easy to set up. It's dead simple to use. And it gives start ups a resource they didn't previously have. There really is nothing to dislike about the platform. As Brex grows, they'll do more around integrations and awards/benefits. But for now, Brex serves its purpose for it's target market. We're a seed funded start up with business credit cards... This previously wasn't possible and makes life much easier in a fast paced environment. "First impressions are that I will never use this card"
Attractive rewards, although the best ones are only for new accounts. Running a corporation, paying for things. "Great product and better experience"
It is remarkable the ease of use and tracking of expenses. He has a great job done in designing the user experience that is unique to a credit card. Brex doesn´t deliver physical cards worldwide. Allow different people within the company to manage independently with their budgets but without losing control and follow-up. I liked the easy to register in Brex. I got the card from my company which allow us to purchase company related purchases quickly. Unfortunately, Brex is not accepted by some well known websites as Jarir and extra in SA. I'm planninng to use the card for all my company related expenses. "Great Time Saver and Excellent Customer Service"
No need to continue using Expensify after getting a Brex Visa card for each of our employees. Big time and expense saver! Don't change anything!!!!! It does everything we need. Hurry!!! Get in now before you are too heavily invested elsewhere. Cash back, eliminate Expensify, dedicate cards to certain expense categories. "Really easy to use and intuitive"
Really easy system for getting everything going as a team! "Great service, just wish it was more flexible in underwriting approvals and our bank worked with you"
Fast service and responses with questions. Your system does not integrate with our bank. Wish the underwriting procedures were the same for verifying banking online and statements. "It's so easy, every startup should do it." It's quick to sign up, seamless to integrate into financial processes, and has a smooth backend for managing expenses. From a corporate standpoint, nothing. From a personal standpoint, it would be nice if the rewards accrued at least in part to employees. Don't think. Just do it. In the unlikely event it doesn't work for you, it's easy to stop and return to your old method. We needed an easy way to control expenses. Brex helps us do that. Our bank wouldn't give us a credit card without a 100% cash backup, but Brex would! Customer service is outstanding. Nothing! This completely solved our issue. Needed a credit card and this is a wonderful low cost methodology. As a manager, Brex offers a very useful overview page to manage spending across multiple accounts/people. Some early bugs caused issues, but those seem to have mostly been solved. Complicated spending habits across multiple partners, employees and coworkers. I love the rewards program and the automatic receipt matching service. I wish the ERP integrations were more streamlined. Automatic accounting + great credit limit and rewards. * We monitor all Brex reviews to prevent fraudulent reviews and keep review quality high. We do not post reviews by company employees or direct competitors. Validated reviews require the user to submit a screenshot of the product containing their user ID, in order to verify a user is an actual user of the product. Hi there! Are you looking to implement a solution like Brex?